StarLift has selected their winning logo design. For $875 they received 185 designs from 39 different designers from around the world. - Can you increase the size of the bottom "jawbone" of the hexagon so the slogan text can be a little bigger? This is very close. Two more changes: - Can you make the claw the same grey as the cannon/back - Can you increase the size of the bottom "jawbone" of the hexagon so the slogan text can be a little bigger? Changes done. It is what you want? Hi, Changes done. It is what you want? Done, the only thing I added to the claw is the black outline. It's OK? Can you re-add the white gap between the claw and the Star Lift text? Like it was when the claw was black. Thanks! Nice job on the claw! I like this direction. Could you try this one with the font from #70? I LOVE the ship art, and have some ideas. - Could you try something else with the "Star Lift" text? The slogan and hexagon outline are good but the red text's shape doesn't seem like it fits inside of them very well. I LOVE the ship art, and have some ideas. - Could you change the cannon shot color? In the game it is light blue (hex color 00C1FF) - In the game we are about to add a mechanic where your ship has a "grappling hook" or "claw machine" style claw that hangs under the ship to carry things. Could you add this to the ship? It could maybe be holding onto the logo text. 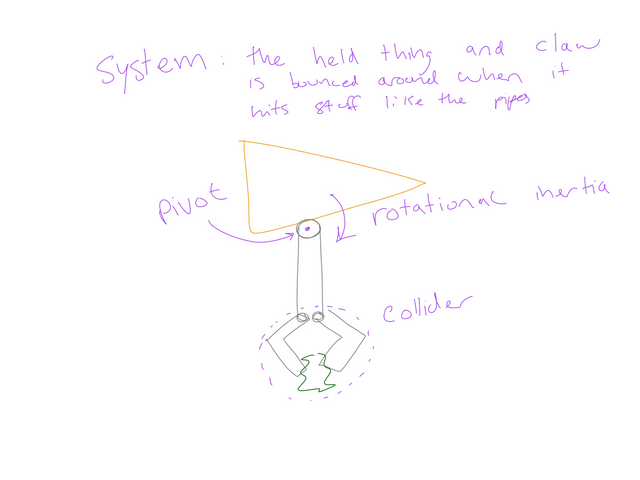 See this doodle: https://i.ibb.co/0Bjg0hq/2019-01-10-11-55-38-1.png - Could you try something else with the "Star Lift" text? The slogan and hexagon outline are good but the red text's shape doesn't seem like it fits inside of them very well. Overall, great stuff! I'll do the requested changes but can you tell me or show me a font that you like to go in the right direction? Hi, Thanks for the feedback. I'll do the requested changes but can you tell me or show me a font that you like to go in the right direction? Thanks! Here are a couple of examples for the font: https://commons.wikimedia.org/wiki/File:Overwatch_text_logo.svg https://www.zipwhip.com/wp-content/uploads/2017/04/zw-logo-color.svg Thanks!